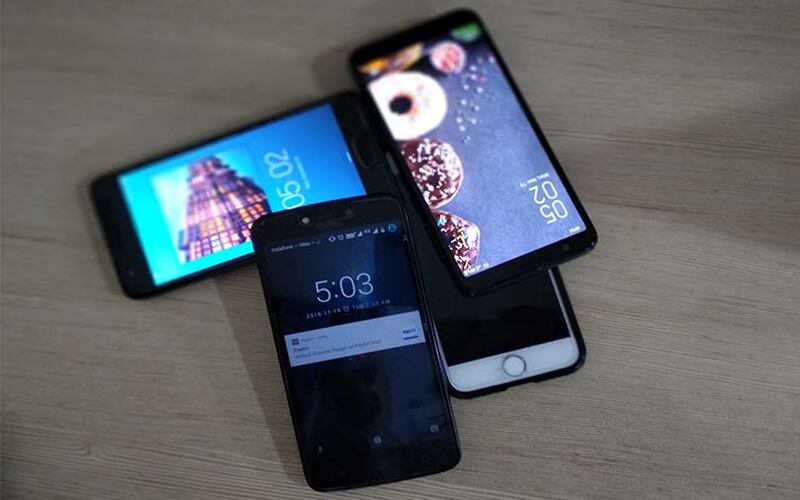 Delhi-based smartphone refurbishing and resale platform Yaantra has raised around $2 million (Rs 15 crore at current exchange rates) in venture debt from alternative investment firm Anicut Capital, two persons familiar with the matter told TechCircle. Anicut Capital made the investment through non-convertible debentures, one of the persons mentioned above said. Yaantra will use the capital raised to expand its market and for its working capital needs, the other person quoted above said. E-mail queries sent to Jayant Kumar Jha (chief executive) and Ankit Saraf (chief executive officer), co-founders of the venture, and to Anicut Capital seeking more information on the funding round did not elicit a response at the time of publishing this report. The company last raised capital in October 2017, when it secured $3.1 million (about Rs 20 crore then) in its fourth round of funding from existing investors Carpediem Capital Partners and Duane Park. Run by Gadgetwood eServices Pvt. Ltd, Yaantra was launched in 2013 by Jha, Saraf and Anmol Gupta. It sells refurbished smartphones and smartphone accessories with warranty and provides on-demand mobile repair services as well. It also offers its services through a consumer-facing mobile app on Android and iOS. The app has more than 50,000 downloads on Android, according to information on its Google Play Store page. Yaantra currently operates in New Delhi, Bengaluru, Mumbai, Chennai, Pune, Hyderabad and Ahmedabad. The company, which employs more than 700 people, claims to have a capacity to repair and refurbish over a lakh of smartphones a month and has served more than 1.2 lakh customers. The company sells devices from brands like Apple, Micromax, Motorola, Xiaomi, Samsung, Lenovo, LETV, HTC, Asus, One Plus, Sony, Honor, Karbonn, Coolpad, Vivo, Oppo, Gionee, LG, Xolo, Swipe, Videocon, Intex and Huawei, according to information on its Google Play Store page. Jha holds a bachelor’s degree in commerce from the University of Delhi, Saraf is an MBA from Bundelkhand University, and Gupta has a degree in computer science from IPS Academy. At the time of its last funding round in October last year, CEO Jha stated that the company was growing 25% month-on-month in sales and was targeting to be present in 25 cities by the end of 2018. For the financial year 2016-17, the company registered a nearly six-fold rise in operating revenues at Rs 29.77 crore, up from Rs 5.06 crore in the previous year, according to VCCEdge, the data and financial research platform of News Corp VCCircle. Likewise, gross expenses also widened to Rs 29.64 crore, up from Rs 5.47 crore the previous year. Consequently, the company clocked net profits of Rs 7.06 lakh as opposed to Rs 41.39 lakh loss it showed in the previous year. A number of ventures in the online smartphone recommerce space have attracted investor interest. In August, Servify, a startup that offers brand-authorised after-sales service for devices, raised $15 million (Rs 106 crore then) in a Series B round led by Iron Pillar, an India-focused firm which invests in mid-stage companies (https://www.vccircle.com/iron-pillar-leads-funding-in-device-after-sales-firm-servify/). In June, Cashify, an online platform that sells used electronics, raised $12 million (Rs 82.19 crore then) in a Series C round led by Chinese alternative asset management firms CDH Investments and Morningside Group. The Chennai-based alternative investment firm offers debt financing to small and medium enterprises from its debut fund, Grand Anicut I. It was launched in early 2016 with an initial target corpus of Rs 300. The asset management company had increased the target corpus of its debut fund to Rs 375 crore. In September, VCCircle had reported that Anicut Capital was preparing to float its second fund that aims to mop up to $40 million, a much bigger amount than its predecessor. Its most recent known investment was in September this year, when it invested $2 million (Rs 13.7 crore) into ready-to-eat popcorn maker Timla Foods.